Two groups claimed the City of Milwaukee put information downplaying lead levels across the city. "Information has been taken off of these maps to make the lead poisoning problem in Milwaukee look less severe than it actually is," said Robert Penner with the Get the Lead Out Coalition during a press conference Friday. 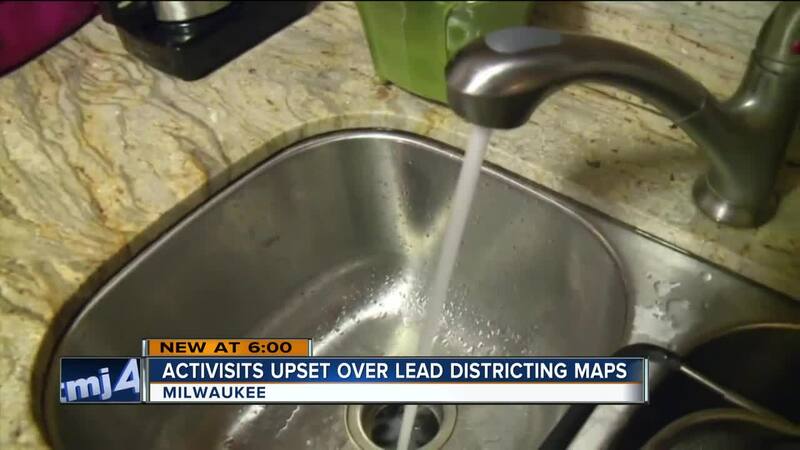 Members of the Get the Lead Out Coalition and Freshwater for Life Action Coalition said they spent the last eight months collecting data on lead levels from the city and state and found the information did not correlate with what Milwaukee put out. They pointed to the city's lead poisoning density maps as an example. Thomas Welcenbach, with Get the Lead Out, said the Milwaukee Health Department removed a group of children with lead poisoning from their most recent map. They brought their findings to Milwaukee Common Council President Ashanti Hamilton and the Health Commissioner Dr. Jeanette Kowalik. "I am happy to say that the Common Council president found out information to be compelling to be compelling to the point to where he is now committed to working with us," said Robert Miranda with Freshwater for Life Action Coalition. The lead issue sparked tension at Friday's news conference and ultimately a heated exchange between the groups and an unidentified man in the City Hall lobby. Miranda said they plan to meet with the Steering and Rules Committee in January.